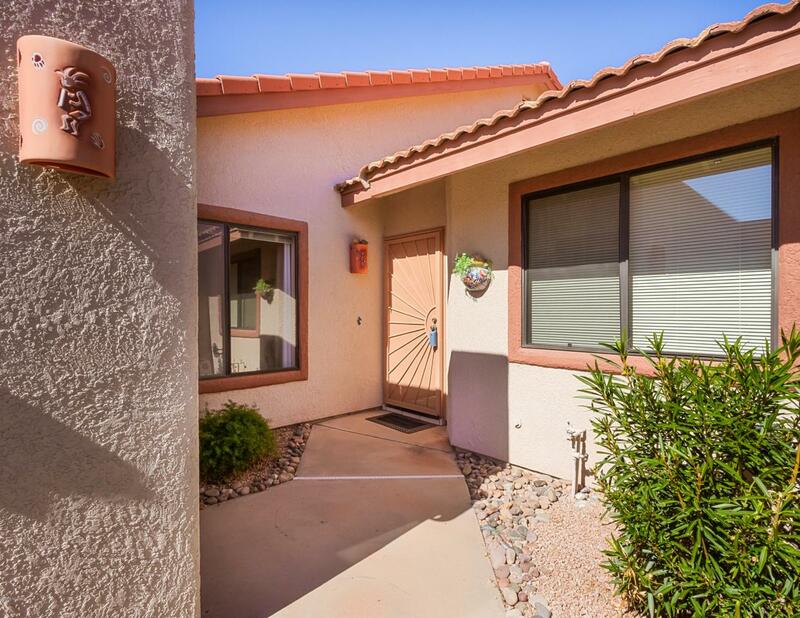 Great townhome within the gated Omni Tucson National golf community. Wood burning fireplace enhances the great room that is open to the patio bringing in the lush open space beyond. 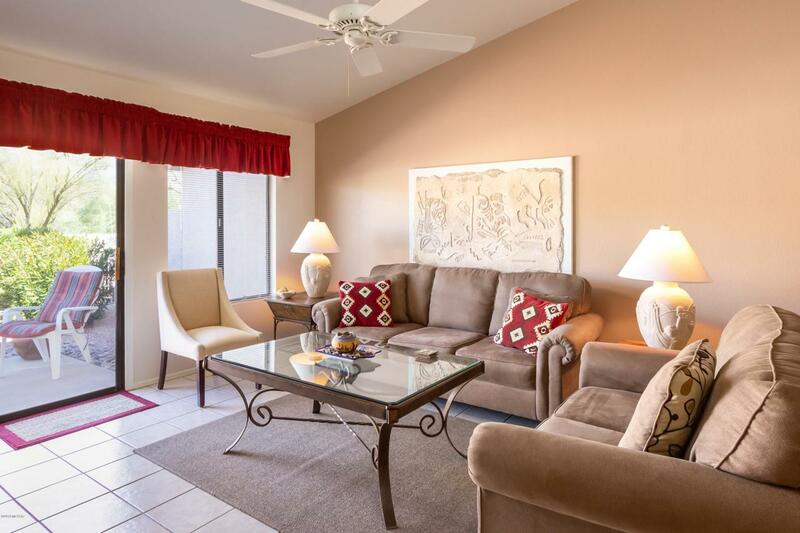 Watch the wildlife over the back wall & enjoy the Catalina mountain views from your chaise lounge Split floorplan offers guest privacy. Baths remodeled in 2015 with cultured granite tops. Master walk in closet surprises you with an attic ladder for more storage space. 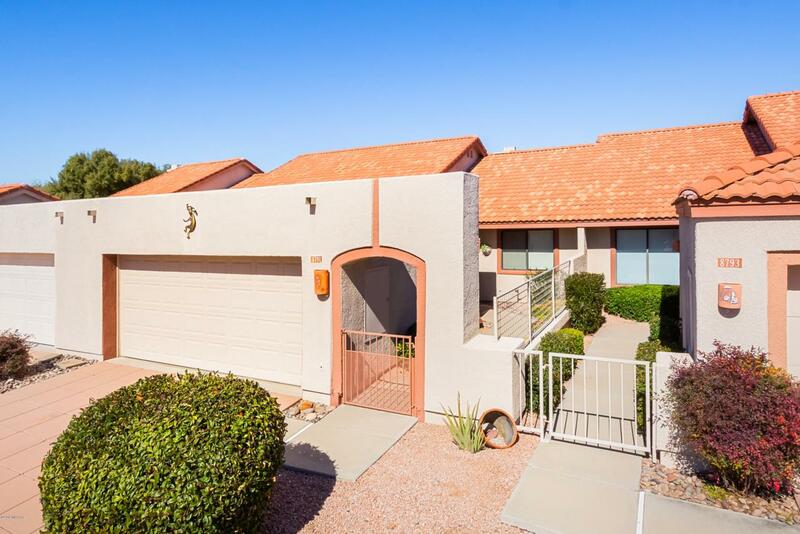 Deep driveway offers guest parking and large garage is lined on both sides with built in cabinetry for extensive storage. HVAC is new in January 2017. HOA covers community pool, front & back yard maintenance, trash/recycles. 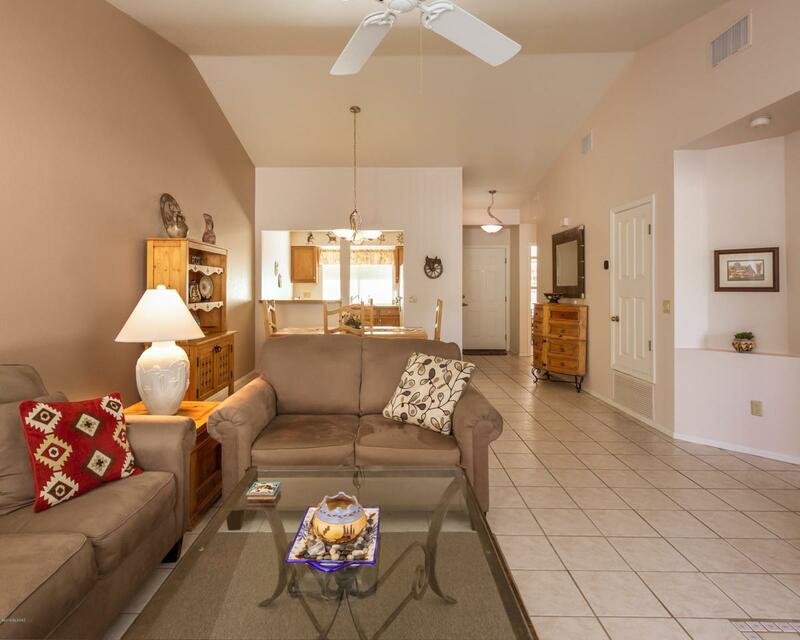 Offered turnkey/all furnishings. Special Omni initiation membership fees if you purchase this home. Just ask. Community Tucson National C. C.